Maranda Road is one of Colombo’s main thoroughfares. Walking along it past the railway station, you soon come to the statue of a Buddhist monk standing on a tall pedestal. It is an unremarkable piece of work, one of many such statues of eminent prelates set up around the city which the crowds rush past and hardly seem to notice. Closer inspection of the name on statue’s pedestal suggests, however, that there is an interesting story behind its monument. For it is a statue not of a Sri Lankan but a Tibetan monk, Venerable Tibetjataka Mahinda. What is a statue of a Tibetan monk doing in the capital of Sri Lanka, that stronghold of orthodox Theravada Buddhism? It would be difficult to imagine two more different countries than Tibet and Sri Lanka. One is cold, bleak and hemmed in by snow-capped mountains while the other is tropical, lush and set in a turquoise sea. True, both countries have ancient Buddhist cultures, but the kind of Buddhism that prevails in them could hardly be more different from each other. The Dhamma first came to Sri Lanka only 237 years after the Buddha’s final Nirvana, when it was still young and relatively uncomplicated. It did not become firmly established in Tibet until nearly a thousand years later, after being transformed by centuries of mystical insights, philosophical speculation and living side by side with Hinduism. However, despite the differences between the two cultures, the distance separating them and the obvious difficulties involved in getting from one to the other, the Buddhists of Tibet and Sri Lanka have had intermittent contact with each oth er for many centuries. Sometimes this contact has been direct – monks from one country have gone to the other; but more often it has been indirect – monks from both countries have met in India or Indian monks have visited both countries and acted as intermediates. When Tibetans started going to India to learn Buddhism or to collect Buddhist texts they of course heard about Sri Lanka, a land where, unlike India, the king and all his subjects were fervent Buddhists. 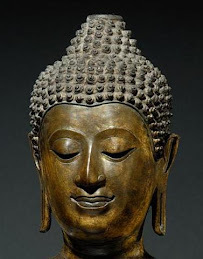 They found that even Indians looked upon Sri Lanka as a sacred land, a Buddhist paradise blessed with numerous sacred relics where the Sangha received unstinting state support. 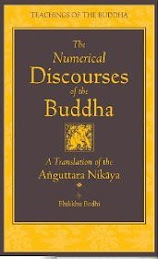 They also learned from the Lankavatara Sutra that the Buddha had sanctified the island by visiting it and from the Karandavyuha Sutra that Avalokitesvara had appeared there as well. 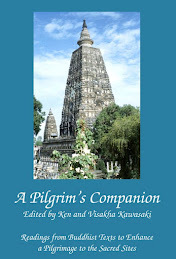 What interested them most, however, was the reputation of Sri Lanka’s great Mahayana and Tantric masters. 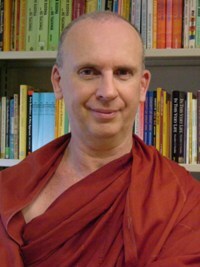 That Mahayana and Tantra Buddhism flourished in what is now a Theravadin country may surprise the contemporary followers of those schools, but Buddhism in Sri Lanka has rarely conformed to the simplistic generalizations so often made of it. The island’s interest in Mahayana started at the very beginning of the new movement. Nagajuna’s most brilliant disciple and successor, Ariyadeva, was a Sinhalese of royal birth. According to Tibetan sources, Nagajuna sent his last days in a monastery in Sripavata, a location now identified with a plateau just outside Nagajunakonda in Andhara Pradesh. Significantly, the ruins of a monastery called Simhala Vihara flourished at Sripavata from the first century CE onwards, and according to an inscription found on the site, this monastery was inhabited by Sri Lankan monks. It is not at all improbable that this was where Nagajuna and Ariyadeva first met and that from an early time Sri Lankans went there to study Mahayana. And the evidence shows that 800 years later Mahayana still had a strong following in the island. We read, for example, that in the ninth century Ratnarasanta, the abbot of Somapura in India, came to the island accompanied by the envoy sent by the Sri Lankan king. He arrived with some 200 Mahayana texts and stayed for seven years; and when he finally returned to India to take up the position of ‘gatekeeper scholar’ at Vickramasila, he left behind 500 disciples. 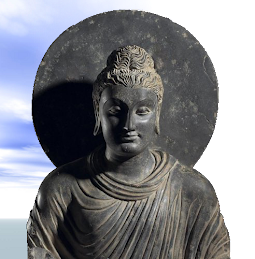 Mahayana flourished in Sri Lanka until it finally succumbed to Theravada at the beginning of the medieval period. Nonetheless, it left behind numerous traces of its presence in the island’s literature, sculpture and popular religious practices. Tantra has left far less evidence of its presence. It seems to have arrived in Sri Lanka soon after it appeared in India in about the seventh century. The earliest evidence of Tantra in the island concerns the Sinhalese siddha (an attained yogi) Amoghavajira, senior disciple pf the great Indian master Vajirabodhi, who introduced Tantra to China. When Vajirabodhi was ailing just before his death in 733, he instructed his disciple to return to India via Sri Lanka to collect Tantric texts unavailable in China. Amoghavajira arrived back in his homeland and was welcomed by the king, who accommodated him in his palace for seven days. He met the famous Gabhadhatu Acariya and received both the Vajiradhatu and the Garbhadhatu initiation from him as well as several other secret empowerments. Later he collected 500 Tantric texts and detailed information on the mudras, images, colours and deities needed for making mandalas. He then left for India, returning to China in 746, when he presented the emperor with a letter and gifts from the Sri Lankan king. Tantra finally gained official recognition and patronage during the reign of Sena 1 (833-853) who, we are told, had taken the bodhisattva vow. This monarch was interested enough in new trends in Buddhism to establish an ecumenical institute named Virankurarama, where 25 monks from each of the four major sects in Sri Lanka could study the new ideas coming from India. Special rules were made to prevent sectarian rivalries being excited. If the monks representing a particular sect dropped below the prescribed number, the shortfall could only be filled by monks from other sects with permission from the sect concerned. Sometime during Sena’s reign an Indian Tantric siddha arrived in the island and won the king’s favor. Although the facts are unclear, it is possible that this siddha was invited to the island to join Virankurarama, or it may be that the institute was established after his arrival in order to examine his ideas. However, as in Burma, Japan and elsewhere, accusations of sexual license persistently dogged Tantra, and eventually it disappeared from Sri Lanka. Despite this, archeological evidence shows that it continued to exert an influence as late as the 12th century, and as we shall see, small groups of people continued to practice, probably in secret, well into the 15th century. The picture shows Nalanda Gedige the only substantial Tantric monument to survive in Sri Lanka. Very interesting! Sri Lanka also figures in the origin of tantra in this world. Apparently, very shortly after the Buddha's parinirvana, a human and four non-human meditators spontaneously gathered at the summit of Mt. Malaya on the island. There, they sang long lamentations that they meditated right through the appearance of a Buddha in the world. But based on the sincerity and merit of their songs, a tantra and a statue of Vajrasattva descended on the palace of one King Ja in India. He couldn't read the text so prayed to the statue. His obscurations cleared and he was able to read the one Vajrasattva chapter, and based on practicing the instructions contained therein, understood the rest. Thus began the lineage of Anuyoga.